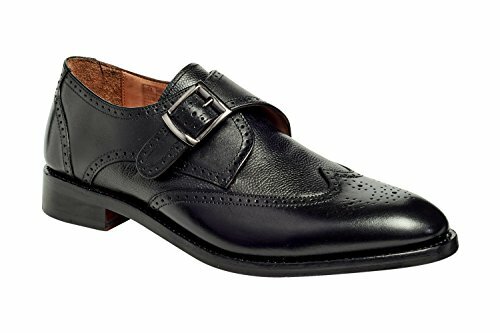 Anthony Veer presents Classic Monk Strap with Broguing in Black and Brown. This comfortable slip-on shoe is made with high-quality materials; this luxurious shoe shows exquisite craftsmanship in its design and will be coveted by anyone who knows good footwear. These are almost perfect for dressed up casual / dressed down business times. Wear them with black, gray or navy, and you'll stand out quietly.